Most people have either dealt with weight issues themselves or have loved ones who do. It’s painful in either case-we all want to be healthy but it’s hard to get out of a bad routine and build the right habits. There are a lot of promises of quick fixes but deep down we know that they don’t work. We see “lose 10 pounds in 10 days easily” and are tempted. Your brain knows that is straight BS but the emotional side of you WANTS to believe. And this is how you trick yourself into yet another crazy (bad) diet plan. The fastest way to lose weight becomes the unrealistic goal. 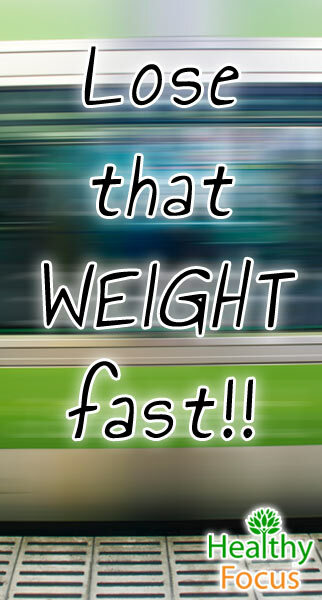 Let me get you in on a little secret: you are not going to lose weight quickly AND easily. And even if you could—you probably would not keep it off. Yes, you can lose weight quickly—anyone who has seen a show like Biggest loser—has seen the amazing transformations on the show. But you also saw the diet and exercise commitment. It’s a brutal boot camp. But it’s also supported by exercise gurus and professional nutritionists who most people don’t have access too. And the long term outcomes are not great either—many regain much of the weight back, just look here. Once they don’t have the external exercise discipline and dietary support it is much harder to keep the weight off. Eventually you have to be able to do it on your own. So how do you lose weight and keep it off? You need to exploit the mechanism that makes you susceptible to the quick weight loss claims in the first place. The emotional aspect of your thinking needs to change. You understand the logic already but you need to rewire your emotional processing. In the book Switch: How to Change Things When Change Is Hard Chip and Dan health devised clever metaphors for your logical and emotional sides. The rational mind is the “driver”, the emotional side is the “elephant” and the goal is “the path”. It’s a great metaphor because if emotionally you are not invested or motivated—no amount of reason will sway you. So you need to motivate both sides in order to fully take action. You also need to remove obstacles on “the path”. Set yourself up to win—not to lose. In the biggest loser example the professional staff force the elephant and to move on to the right path. The path is clear—the proper foods and proper exercise plans are laid before them. But when that external driver leaves you are on your own. Your elephant feels a rest and a little slack is in order and your driver agrees. Sadly, many go right back to their old habits because they did not truly build new ones. Another key is to change your mindset. You need to develop a “growth mindset”. Carol Dweck (Author of Mindset: The New Psychology of Success argues that people largely have either a growth or fixed mindset. The fixed mindset believes that abilities are largely innate and unchangeable while the growth mindset believes abilities can be developed through hard work and perseverance. There is more to it than that and obviously I can’t summarize a 288 page book in 2 sentences. But for the purpose of our weight loss talk—this is enough to go on. So having the right mindset will allow you to make the changes. Acknowledging the duality of your emotional and logical mind will help you rewire your habits long term. But how? If I asked you how do you lose weight—everyone knows the answer. Diet and exercise. That is the simple part the harder part is doing it and making it a habit and routine that you are addicted too. Yes there are tips and tricks to help—and that is a lot of what this site offers. But the foundation of everything is proper diet and exercise. The first thing is to set realistic goals. Don’t try and lose 10 pounds in 10 days. Try and plan to lose a smaller amount of weight every week. Also don’t think of yourself as “fat” or hopeless to never change. Think about making small and steady changes. Reset your gauge on what “other” people are doing or have done. Don’t gauge it based on TV shows, commercials, friends or anyone but yourself. It doesn’t matter what they lost—you just need to make positive changes. I’d also advise against using total weight as a measure of success. If you do exercise you will likely build at least a small amount of muscle. Gaining muscle while losing fat will make the overall net weight change small. But the overall body transformation is still good. So you lose motivation thinking that even after working out for a few weeks and eating well I “only” lost 2 pounds. Again don’t compare yourself to a commercial and don’t look only at the scale. Tape measures are a better indicator of progress. Fitness tests are also a good measurement. It doesn’t have to be complicated—I ran/walked/biked or did X stairs and now I did X + more. More is good. Take the small victories. Change your mind set about diets. Don’t go on a diet just to lose weight and don’t think of a diet as a temporary solution. Don’t “go” on a diet—change yours to a healthy one. Eliminate bad food and drinks and replace it with good food and drinks. Change your mindset about success and failure. Think longer term. 1-2 days of “falling off” your plan is not catastrophic. Just as a couple of days won’t make a diet—a couple of bad ones won’t break it either. Relax, you can do this—get back on track. You are building to the way you should be eating—not going cold turkey for a short while only to go running back to the junk food train. Failing and getting back on track is part of the process—don’t let it discourage you. So what now? What are the actionable steps? There is no one size fits all solution but high level you should attack the biggest problem first to make the most progress. What is your bigger issue—diet or exercise? If you don’t exercise regularly (3-4 times a week) I would argue that exercise is an issue. Ok so now what? Are you going to work out at home or at a gym? Figure that out and then figure out an appropriate routine. You should incorporate some resistance training as well as cardio. Don’t agonize over a routine—pick and do something—you can always change it later. This brings me to another point-don’t over plan and “under-do”. Taking some action is always better than taking none. Start with a brisk walk or jog and do basic calisthenics at home. All you need is to be active for 30 minutes 3-4 times a week. A 1 km jog and 2 sets of pushups and sit-ups does not sound like a lot. But it’s a heck of a lot better than doing nothing. If you are out of shape or out of practice any basic routine will make you sweat, tire you out and make you sore. You can always research more/newer/better workouts and plans but the best plan is to start being active NOW. If you need to work on your diet the most there are easy first steps to take. Cut out soda’s and high calorie drinks. Drink more water, drink lemon water, plain coffee and tea are good options as well. Diet pop is not. Don’t go for a fad diet that you cannot maintain. Eat more vegetables, cut out processed foods and snacks. You can do all of this today—start turning the tide. Start building the proper eating and exercise habits. Step 1 is to start—make the little steps now. There is time to research and agonize over every detail and plan later. Change your thinking today and slowly start to change your life.